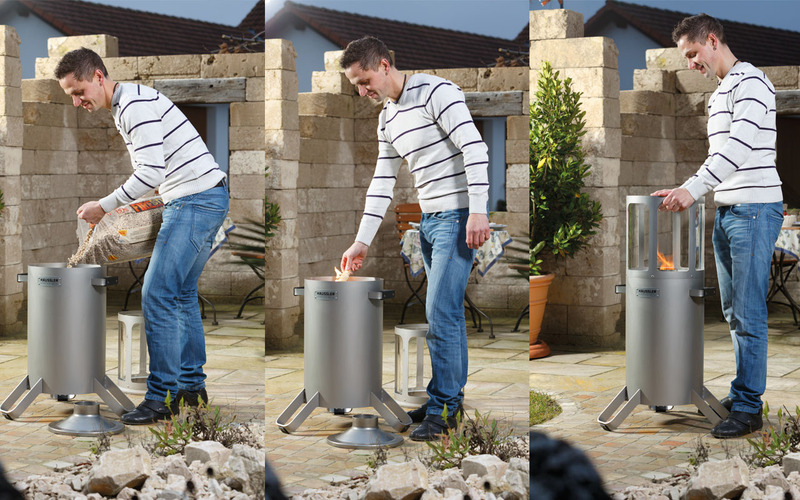 The Häussler barbecue is fired by pellets and ready for use in only ten minutes. Its innovative approach, a special barbecue unit and matching accessories allow smooth, CO2-free barbecues even on the balcony. The barbecue consists of a base frame, a low glass top and a barbecue unit with the grill, two outer rings and a grill plate insert. The Häussler barbecue’s special feature is the glass top which turns the barbecue into an ambience light thus creating the cosy atmosphere of an open fire, yet without smoke or soot and it is totally safe.